It’s Academy Awards time on the other side of The Pond tonight, Hollywood’s celebration of itself (approximately 96% of a given broadcast) and movie magic in general (the remaining 4% minus obligatory sponsor plugs). So, on Tinseltown’s holiday, BallinEurope takes stock of the major international and, um, not so-international basketball-related cinematic releases of 2009. We may as well just call these the nominations for the 2009 Ball in Europe annual Best Basketball Movie; indeed, these eight films represent a smaller bunch than the entire “Best Motion Picture” nominations pool. So after that pitiful offering, thank the gods for Asian cinema! “Fireball: Muay Thai Dunk” is director/writer/editor (!) Thanakorn Pongsuwan’s latest effort, a flick which has awesome written all over it and seems to involve some combination of futuristic prison, dangerous brain surgery, lots of “Hidden Dragon”-like martial arts goodness, and, oh yeah, basketball. Unfortunately, releases of “Fireball” in Europe have been limited and/or direct-to-DVD in the UK, Netherlands and Germany only. But your country’s cinemas probably need this film today. If the comparisons of this film to “Shaolin Soccer” aren’t enough to sell you, check out the subtitled trailer below, which features such Shakespearean-level stuff as “It’s not hard putting the ball through the hoop. But walking out of the game alive is a completely different story.” Seriously, how good/bad does this movie look? As for American independent release Streetballers, BiE gushed heartily about the St. Louis-based production already on these pages, so as to avoid repetition, here’s the link to that story. Here is the link to the official site, which informs us that Streetballers was in fact short-listed in the “Best Motion Picture” and “Best Original Screenplay” categories for Oscar nomination voting this year (okay, it was a long shortlist, but still). Cue trailer! And that’s about it for fictional basketball stories in 2009 film. Luckily, the documentary category was a bit stronger. That’s the good news. The bad news is that, like “Streetballers” and even to some extent “Fireball,” these films’ smaller production studios and waaaaaaaaaaaaaaaaaay smaller marketing budgets mean many of these films don’t leave the home country – or even a second screening. Oskari Pastila’s documentary film, “Basket Case,” follows how new management decided to renovate the entire Porvoon Tarmo Korisleague team during the summer and fall of 2006. As a result, Tarmo used a grand total of twelve non-domestic players during league play, with seven of them staying in the roster until the final playoff game. Like a classic Greek tragedy, things start to go horribly wrong at some point. “Basket Case” gives an in-depth view of a basketball club trying to fulfill high expectations with low budget. The events of the Korisliiga’s 2006/2007 season have led to the situation in which Finnish basketball finds itself now, with teams dropping out of league play and renegotiating player contracts because of financial difficulties. Luckily, the 2009 documentary Poet Pride *is* available on Amazon , at least. Poet Pride is a wide-ranging documentary on arguably the highest-profile American high-school program ever, mighty Dunbar High in Baltimore, which produced Muggsy Bogues and Sam Cassell among others. To paraphrase one of the documentary’s interviewees, watching “Poet Pride” is like watching a Hall of Fame. Speaking of high school hoops stories, 2009 also saw the release of “Rebound: A Basketball Story.” BiE hasn’t seen this one yet, but the trailer and publicity tell us it’s the story of an Independence, Kentucky, high school squad which became truly the ultimate proverbial “Team of Destiny” in bouncing back from an utterly unimaginable tragedy to play in the state championships in 1981. As it turns out, Jack Ryan was one of the greatest pure shooters of all-time (it must be so: Peter Vecsey confirms it! ), the most phenomenal white boy ever to play on an inner-city crowd, but for some reason or another just couldn’t cut it at a higher level, i.e. the NBA. So follows eyewitness after eyewitness speculating as to what might have been, apparently. But here’s the weird thing. 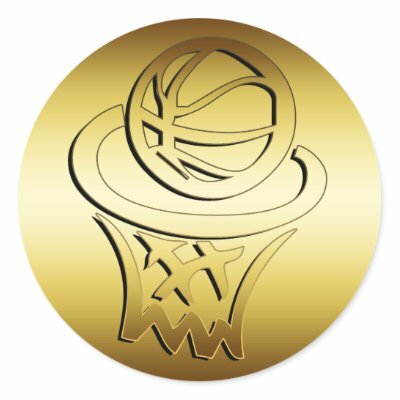 Clipped onto this 80 minutes or so of kvetching and Vecsey-colored superlatives regarding his wasted talent is an advisory to visit HoopWizard.com. Upon checking out the site, one is greeted with Ryan’s self-promotional site, from which we learn that “Black Jack has performed on ESPN SportsCenter and the Today Show and is available to perform at kids’ parties Bar/Bat Mitzvahs, school assemblies, camps and NBA & college halftimes.” I guess he’s not there to talk about the past, eh? First Ink is a documentary that follows NBA all-star Chris Bosh. During his time off in the summer before his final season on contract with the Toronto Raptors, Chris’ attempts to transform his body by gaining weight and muscle and by getting a large scale tattoo. Stylistically, well, let’s say this trailer is … different. But the best basketball movie of last year is none of the above. As much as BiE loved “Streetballers” and “Poet Pride,” one roundball-related film from 2009 stood head and shoulders above the (small) crowd. Indeed, BiE is proud to say that this year saw the release of a basketball film so incredible that to call it “art” would be to do a nigh-criminal disservice to such a masterwork. Sure, Large. What do you want to know? Something about bots obnoxiously trying to overload serious websites with irrelevant crap nobody needs, perhaps…? I really liked your blog! super!